I really needed this day. Yesterday, I had a horrible run due to waiting too late, painful IT band, and dehydration. Mix all that up with 1,098* heat and it was miserable. I got 4 in before I decided to bag the whole thing and try again today. The rest of the day was busy with groceries, cleaning, laundry, and a small nap around 5pm while trying to pick out chairs for the dining room. I went to sleep hoping my leg would be ready for today’s 12 miles and that I would have a good run. It was a great morning and a great run. I had some soreness around mid mile 11, but it didn’t get worse so I finished up and rushed home to get cleaned up before morning worship service. So far, marathon training is going very well. I only hope each week feels like this. Yesterday, I took advantage of some extra time to make one of my favorite dishes….shrimp scampi. add in raw shrimp and cook 3-5 min. add chopped garlic, 1 T of butter and turn off heat if shrimp have all turned pink. Cook additional 2 minutes if they are still white. add some parm, lemon, pepper, and parsley, varying amounts depending on taste. I go heavy on lemon and parsley, easy on parm and pepper. I miss the time in the kitchen. I love the soothing routine of cooking good food and knowing every ingredient is good for me. I like knowing I’m doing something good for me and my family. I really should try this again this week, no matter how stressful life is right now. It’s been a very long week and a turbo speed weekend. But, I’m ready to join the land of the living next week, beginning with morning CrossFit workouts, eating on a normal schedule at school, and upping the water even if I have to ring the office for a bathroom break. My kidneys will appreciate me. 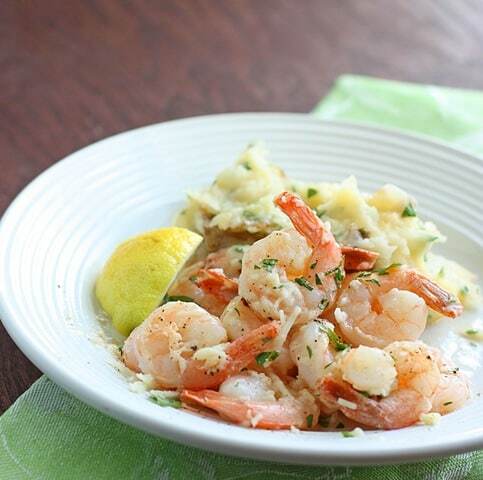 Your’s Shrimp scampi looks delicious….. Healthy and yummy… love the picture too.